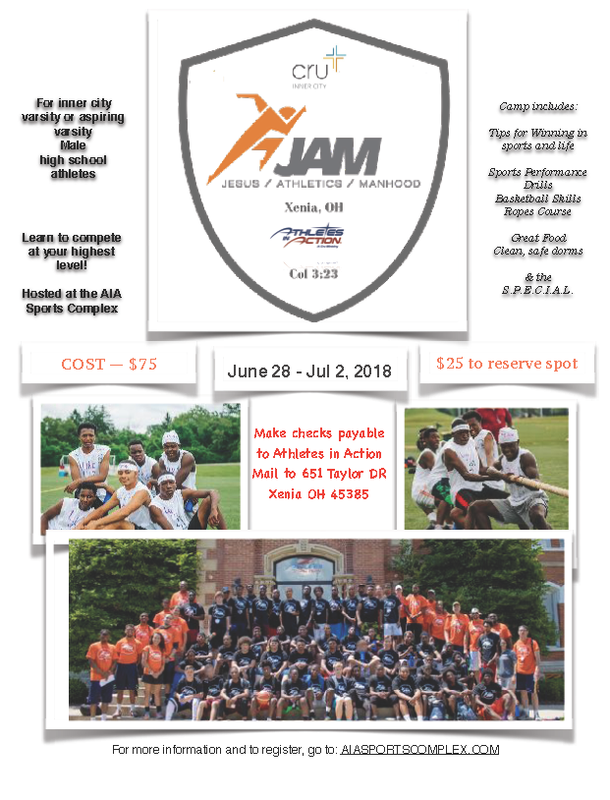 As the Lab Director of the 2018 Athletes In Action JAM Camp, I cdecided to start the first lab giving very few instructions in order to highlight the chaos of arrogance and the need to be teachable. This was a huge risk on my part because it was my first time at the cam and my first time directing the labs. I was VERY aware that my approach could be viewed as I don't know what I'm doing. I didn't inform anyone of what I planned to do, not my assistants, not the other leaders, nor the mentors. Chaos is what happened. As the young men took to the volleyball courts in a huge gagle of a mess, some young men attempted to form teams, while others just started throwing the ball over the net. Yelling back and forth, puzzled looks on the faces of on-lookers, mentors and assitants, and attempts by others to bring some order to the chaoscontinued for several minutes as I walke around the courts observing. Finally, I bleww my whistle. When there was silence on the courts, I asked, "Who knows what we are supposed to be doing?" After a couple of faint answers from the crowd, I asked, "Did anyone ask?" Then, I highlighted my point. "Arogance shows itself through assumptions. Most of you assumed you knew what we were to do, but no one asked! The result, as we just witnessed, is chaos. Before we tackle any of the scriptural principles, you all must be teachable! To be teachable, you must be humble enough to know that you don't know everything. You must be humble enough to ask for direction and instruction. You must be TEACHABLE." From that point, we all started learning, together.